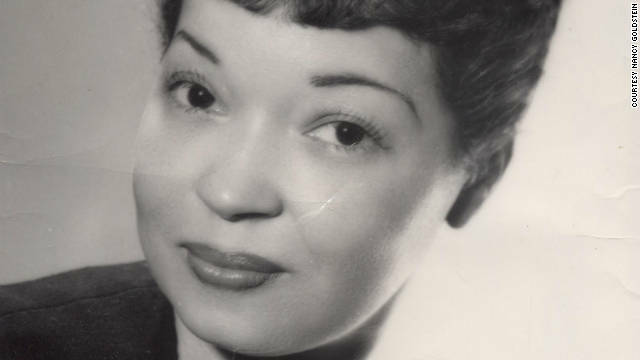 Jackie Ormes, a pioneering comic creator in the 1930s, 40s and 50s, continues to inspire comic book readers today. Cheryl Lynn Eaton is a comics and graphic novel fan who fell in love with the medium in childhood, courtesy of Archie and the X-Men. She knows plenty about comic books and their history, writes commentary about them and even produced her own webcomic, “Simulated Life.” You might say geekery is in her genes, as Eaton credits her dad for her love of science fiction. Eaton, an African-American comic book creator from Edison, New Jersey, became fed up with the lack of diversity within the comic book publishing industry and the creative communities she encountered. In 2007, that frustration led her to found the Ormes Society, an organization dedicated to supporting African-American women who create comics, and promoting diversity within the industry and among fans. “I wanted to use the organization as a way to fend off creative isolation and to build a support network of like-minded individuals,” said Eaton, who is an editor for an academic press. Eaton originally encountered some of the creators via message boards that she frequented but didn’t necessarily know their race. Eaton thinks characters like these are key to diversifying the comic book consumer base. Years after buying her first Archie comic while at the grocery store with her mom, Eaton remains unique among her family members. She also suggests recruiting more African-American authors like the late L.A. Banks, who wrote the “Vampire Huntress” series, to the comic book industry. Another idea is to place popular black female comic book characters in TV and movie adaptations, which may have a broader reach. Like the organization named for her, Jackie Ormes, who was born Zelda Jackson, challenged stereotypes within the comics field. Her work appeared in African-American newspapers such as the Pittsburgh Courier and the Chicago Defender between 1937 and 1956. She created intelligent and sophisticated black female characters like Torchy Brown, who stood in stark contrast to the racist images of the day. Ormes also injected her cartoons with pointed social and political commentary, said author Nancy Goldstein, who wrote the biography “Jackie Ormes: America’s First Black Female Cartoonist” in 2008. “Patti-Jo ’n Ginger,” a gag panel featuring a precocious little girl and her glamorous older sister, took on the McCarthy-era House Un-American Activities Committee and racial injustice. A “Torchy in Heartbeats” storyline focused on a poor community suffering from environmental pollution. Because of her politics, Ormes was under FBI investigation for a time. “It’s now that we look back and say, ‘Wow, she was really stepping out. She’s putting her name on these things,’ ” Goldstein said. While noting that the industry still has work to do in becoming more inclusive, Eaton said she has noticed some progress within the comics themselves. Just looking through her own library, she cited several creators who have placed black women and girls at the center of their stories. Among those characters are Frank Miller’s Martha Washington in “Give Me Liberty,” Mark Haven Britt’s Boom in “Full Color,” Aya in Marguerite Abouet’s “Aya” and Rocket in the late Dwayne McDuffie’s “Icon.” The diversity extends across genres, from horror (“Dominique Laveau: Voodoo Child”) to adventure (“The Many Adventures of Miranda Mercury”) to fantasy (“Bayou”). Eaton said the Ormes Society has received “an amazing amount of support” from across the comics blogosphere since she launched the organization four years ago. She’s hopeful that the society serves as a source of encouragement for creators and readers, while also putting to rest the stereotype of what a comic book fan looks like. Amazing read! I've never even heard of Jackie Ormes or the Ormes Society! I feel a lot better that their is someone out there who is trying to promote better female comic book characters including African American! I have gained another piece of knowledge I will always keep with me. You could definitely see your enthusiasm within the work you write. The arena hopes for even more passionate writers like you who are not afraid to say how they believe. Always follow your heart. Thanks for your kind words. The writing was acluatly finished in 2005 and turned in in 2006, but editing did not start on volume 1 until fall last year. I've just turned in (literally yesterday) the first-pass edit, completed and am standing by to receive the first batch of second-pass edits. The first volume received two editorial passes and then a set of galleys and a long legal review. I understand the editor (David Hartwell) is hoping to have it out in 2012. I love Bayou the way I haven't loved anything in way too long: fiercely, with a kind of adolescent intensity. Please, please, somebody give Jeremy Love an enormous pile of money so he can keep going. I am a huge fan of both the interviewer and the interviewee. They give me a great deal of hope for the future of comics with their criticisms and commentary.